In today’s competitive world of the job market, not only employees are looking to earn a job from a good and reliable company, but employers are also competing to hire the top talents in their market or industry. That is why it is highly important for employers to use a screening tool, in the form of an employment or job application forms, to weed out unqualified applicants from the ones with impressive qualifications. No matter what type of industry your business belongs, it is important to provide applicants with an employment application form as part of the recruitment process. In this article, we will discuss all the essential things about the importance of a job application form and how employers can use this document to streamline the process of recruiting the best talents in town. 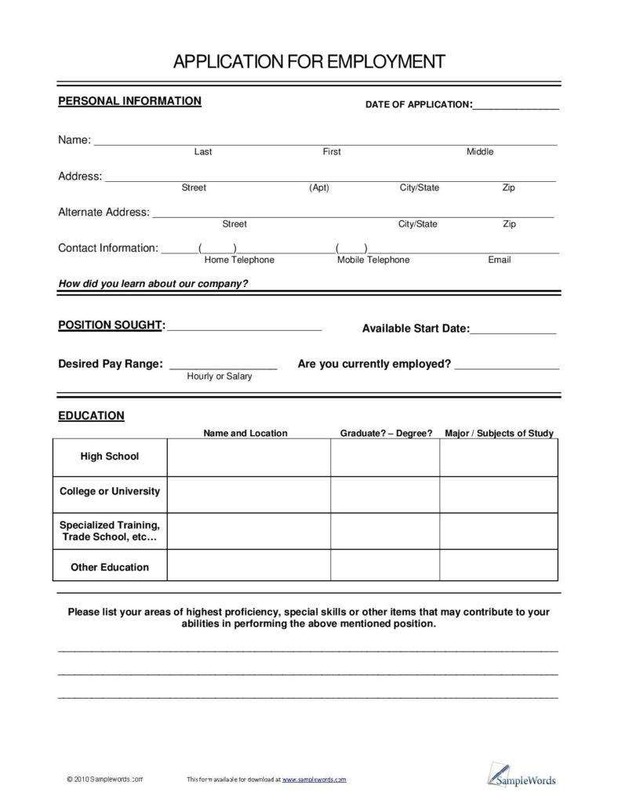 A job or employment application is an official company form that is given to an applicant who wants to apply for an open position in the organization. 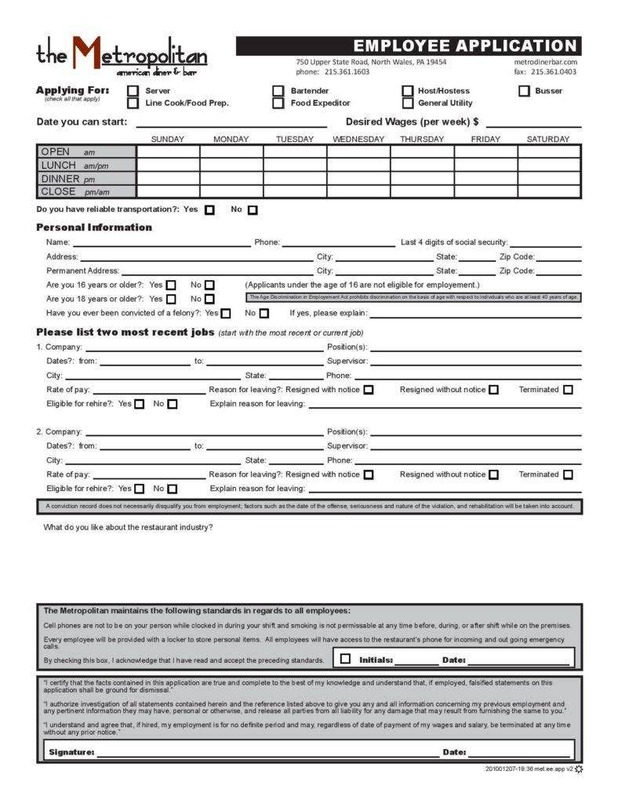 The applicants are asked to fill out the form with essential information as honestly as they could. The employer or the hiring party will then use the provided information to evaluate whether the applicant is qualified and competent for the position that is offered by the organization. Hence, you can consider the job application form as the initial stage for screening the applicants. In a nutshell, a job application form is an effective recruitment tool that provides an employer an overview not only about the personal qualities of the applicant but also his or her skills, experience and the potential to be successful in the position that he or she has applied. Every day, employers receive applications from hundreds, if not thousands of applicants. Instead of going directly to the applicants’ professional resume or curriculum vitae and cover letters, most employers or hiring parties assess the initial qualifications of the applicants through the information written in the job application form provided by the company. In this section, we will aim to provide you with information that will give you a better understanding on how important an application form in the process of recruiting potential employees. It has already been stated above that the application forms for employment are the best tool that the hiring party can use in the initial applicant screening process. Here, they can check whether the skills and experiences of a certain applicant matched the job descriptions and requirements set by the employer. The hiring team will decide whether an applicant warrants further consideration for the next stage of the recruitment process. Another advantage of using an employment form is that it gathers consistent information because it has a uniform format that with similar questions that need to be answered by the applicants. 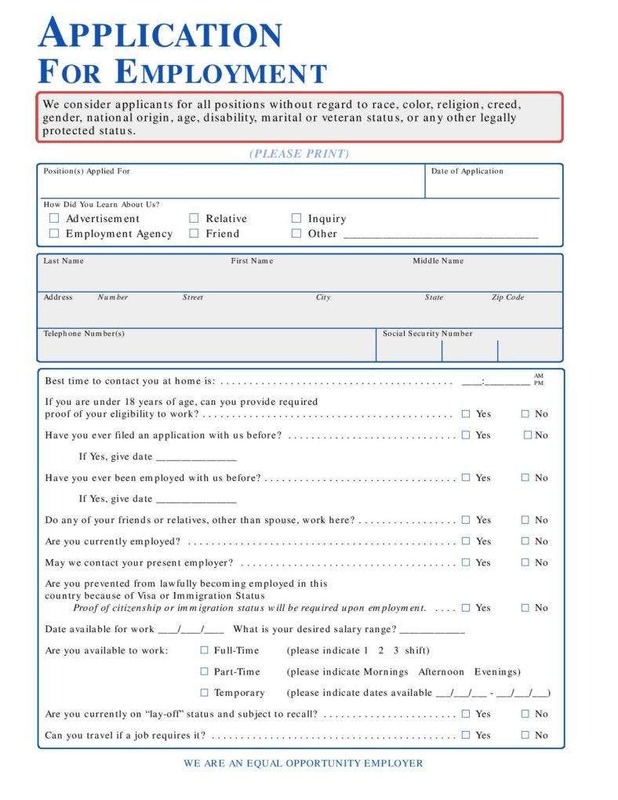 A lot of employers consider application forms more reliable because unlike a resume where the applicant can choose what information to include in the document, the application forms can provide them with a clearer picture about the suitability of the applicant for the role more directly and quickly than a resume or a curriculum vitae. It makes the recruitment process a lot easier, especially when the hiring party receives large volumes of applications every day. And since the fields in the application forms are direct to the point, the hiring party and/or the employer can easily make a comparison of the information provided by the applicants. Aside from that, there are hiring parties who used software to pre-screen the applicant using the online job application forms. Although it is not stated in the job requirements, the trustworthiness, character, and stability of the potential applicant are just some of the factors that are essentially required by the employers. And since most application forms require the Social Security number of the applicants, the employer can check whether the applicants have any criminal records and/or bad credit report history. This is especially helpful when the position that is offered by the company involves accounting and handling of huge amount of money, processing of credit card, and using of customer’s personal information. A job application form is considered to a form of a legal document because the applicant is required to affix his or her signature, attesting that every information that he or she has written on the form is true and accurate. Most employment applications provide a clause at the end of the form that any false and inaccurate information shall result in the application rejection and/or termination of the employee. 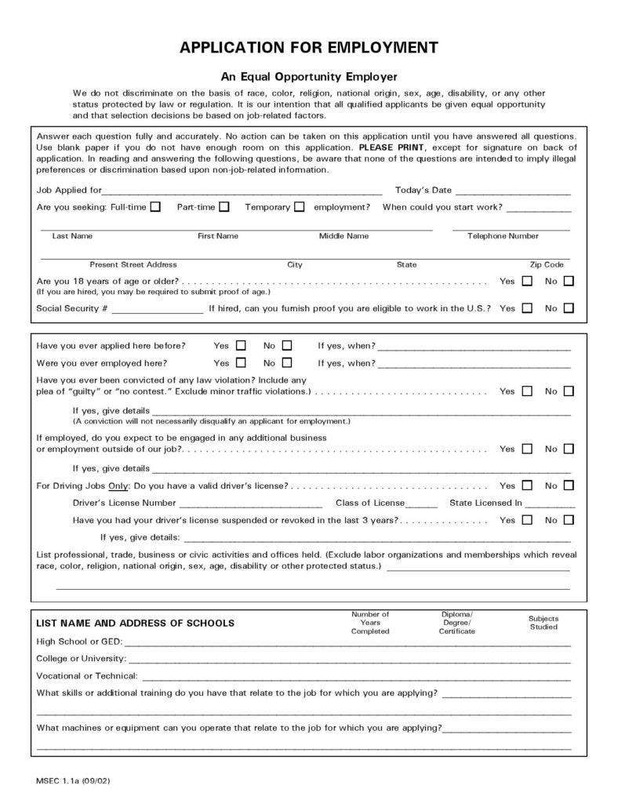 Unknown to most applicants, most hiring parties and/or employers use the application form to scrutinize not only the information provided but also on the meticulousness of the applicant in filling out the forms. Erasure, messy handwriting, and spelling and grammatical errors are some of the common indicators that the applicant is lacking attention to details, as well as the ability to function well as an employee. Microsoft Word and word processing programs are considered to be two of the most practical ways that you can use when customizing your employment application templates. It allows you to add text and images, such your company or business logo, and/or rearrange the elements on the form. However, you may be required with some more advanced editing skills if you want to rearrange or edit the tables that are already provided on the template. 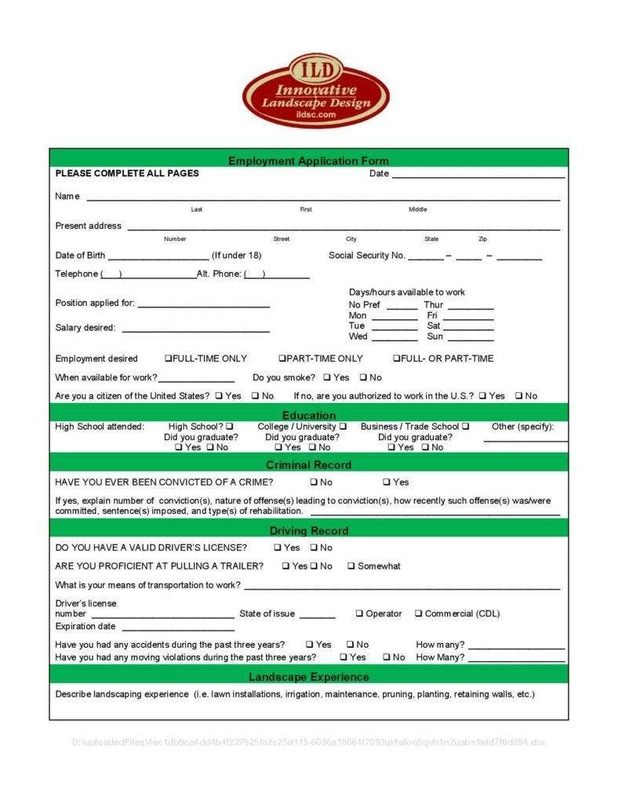 Since we all know that the aesthetics of the entire application form is one of the important things that you should consider when customizing the document, there are some instances where you want to modify some of its key elements, such as adding or changing the questions or rearranging its fields so that you can emphasize various sections of the form. If you want to make a more advanced customization, the best way to do it is by using human resources software programs. It lets you edit some fields and add questions. It also provides different theme choices. 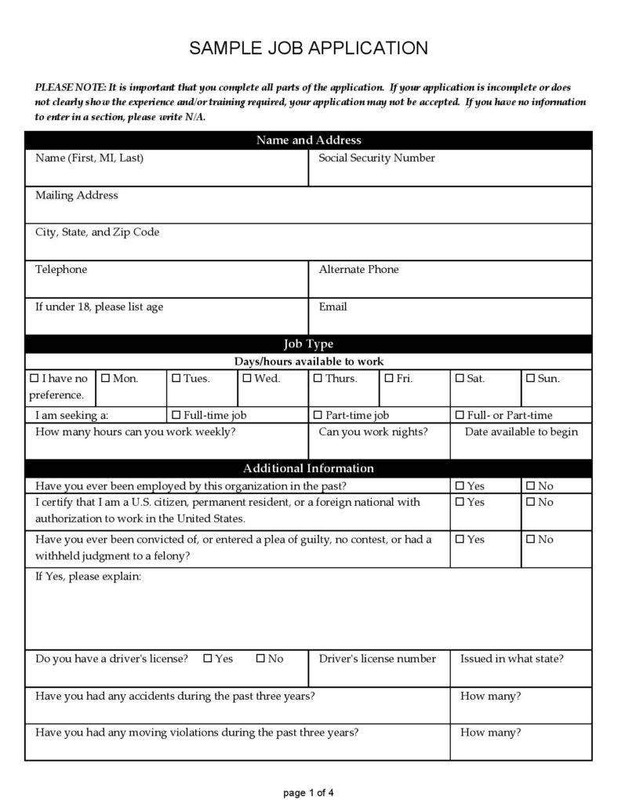 If you think you do not have enough time to customize your company job application forms, you can have a printing company do the task for you. Oftentimes, printing companies will provide you with a portfolio of their work. However, you can also give them specifics if you want to customize your application forms to match them with your brand. If you are a small company, this technique can be used as a part of our brand strategy. 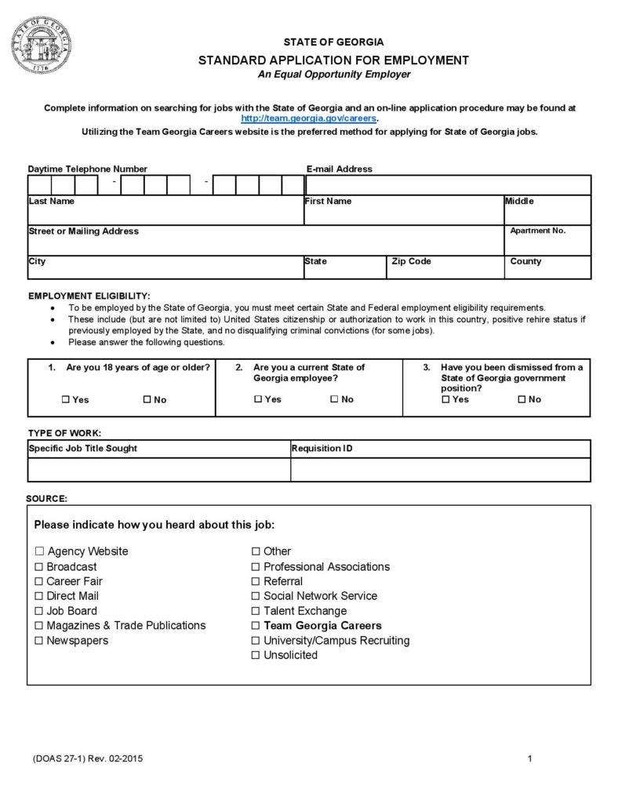 However, if you have just started in the business and do not have extra funds to pay for the services of a printing company, you can just check out the following job application form templates below. 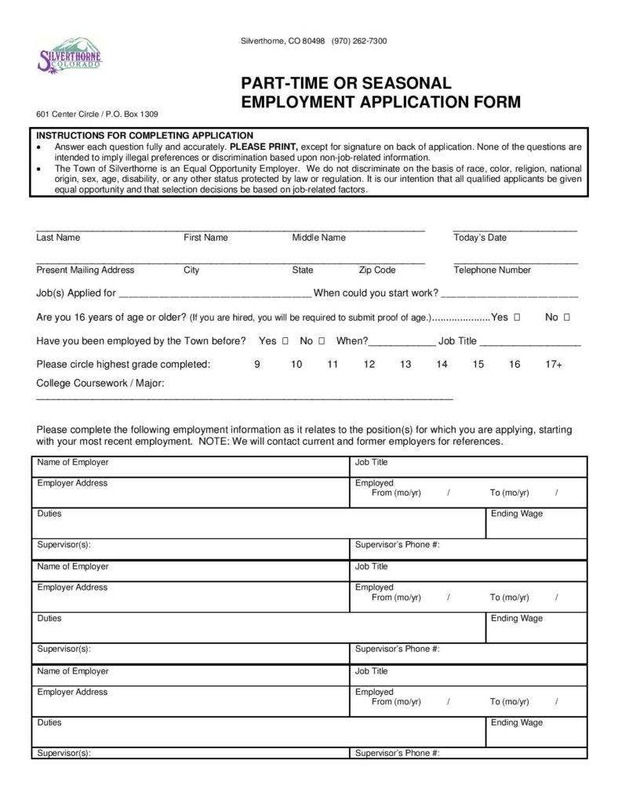 Having a professional job or employment application forms is not only useful for record keeping purposes but it is also essential in streamlining the process of recruiting potential employees to work in your company. What is even great is that the hiring party and/or the employers can increase their chances of hiring the best people to fill in the position that they are offering. So make sure that you have the right format of the application form to use to obtain the information you need in making informed decisions at every stage of the recruitment process. And before we will conclude this article, do not hesitate to check out our collection of HR Application Forms, as well as our Microsoft Word 2010 Application Templates. They are all available for free download. You do not need to have some serious editing skills to modify our forms and templates to match your personal purpose. So what are you waiting for? Take this chance and download our best forms and templates! 15+ Job Application Templates – Free Sample, Example, Format Download! 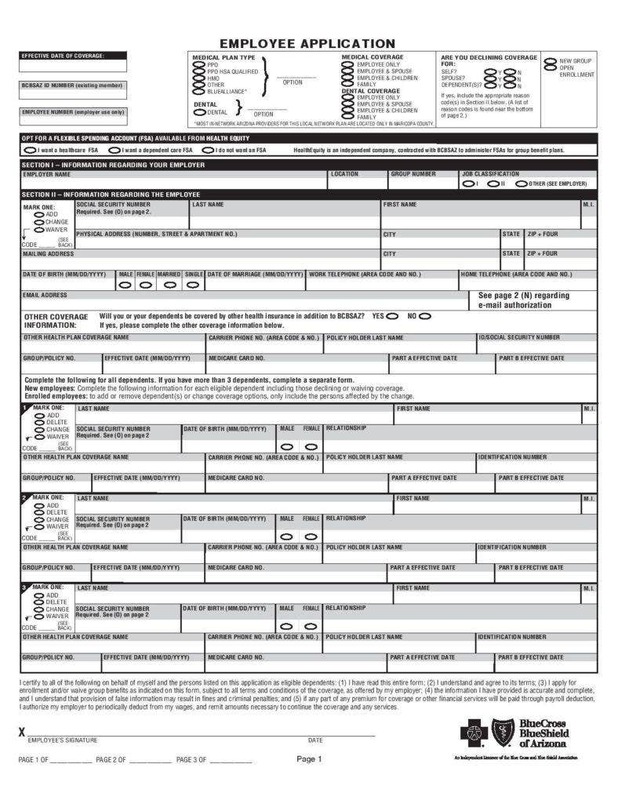 Rental Application Template – 10+ Free Word, PDF Documents Download! 13+ Rental Application Templates – Free Sample, Example, Format Download! Scholarship Application Template – 10+ Free Word, PDF Documents Download! 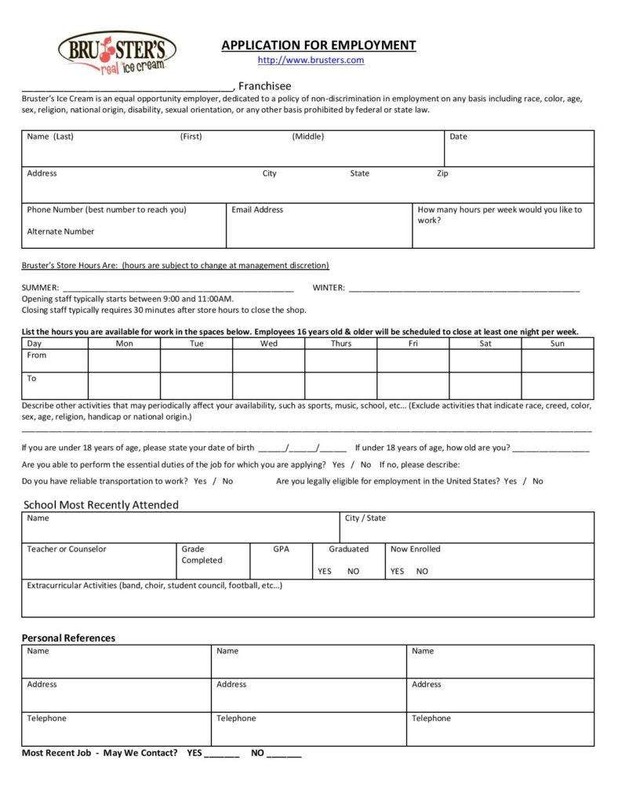 Application Form Templates – 10+ Free Word, PDF Documents Download!